I created this silver bracelet and necklace from a tiny fragment of sea urchin shell I found along the beach, and impressed it into pure silver, with a white cultured coin pearl. A spiral design is on the reverse, from a bit of nautilus shell. When you're at the beach, what's easier to wear than a necklace made of leather? 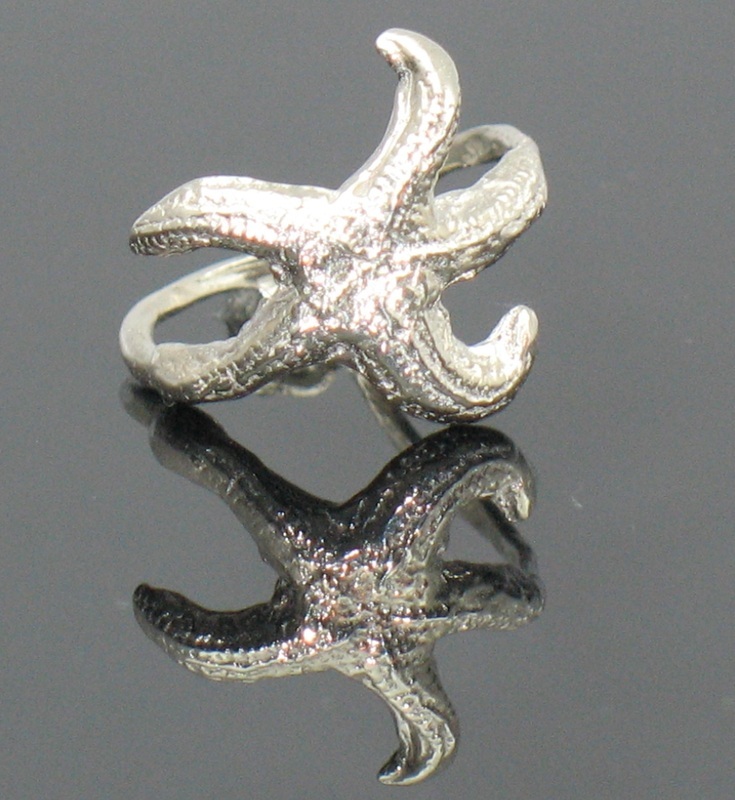 This one is formed from fine silver oxidized and textured from a scallop shell . 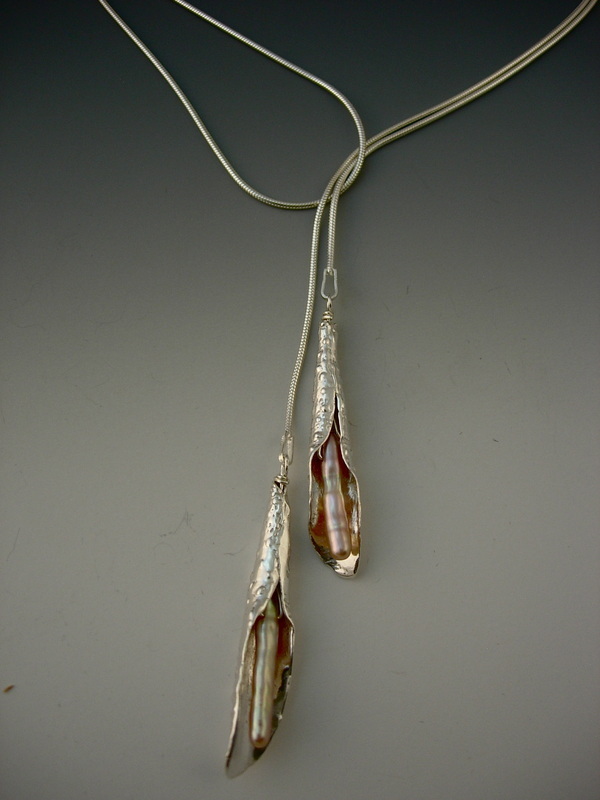 This necklace is made from an imprinted fragment of sea urchin shell I found on the beach. This piece has a little movement to it, and a nice sparkle from the texture of the sea urchin, with a long freshwater stick-shaped pearl on the inside. 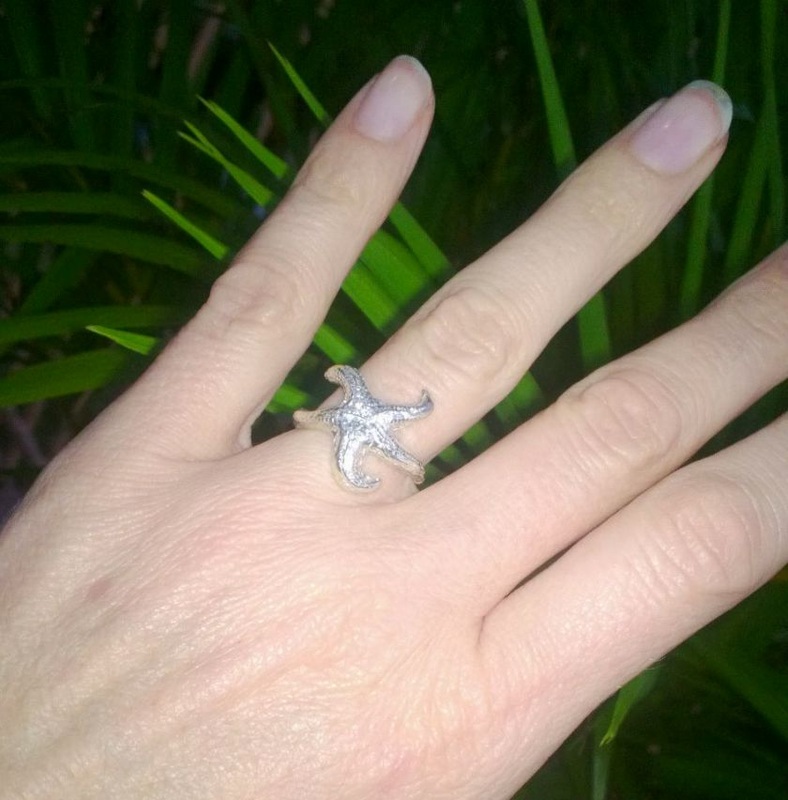 This delicate ring was made from a real starfish that had a bit of a bad day... found after a storm on Sanibel Island. 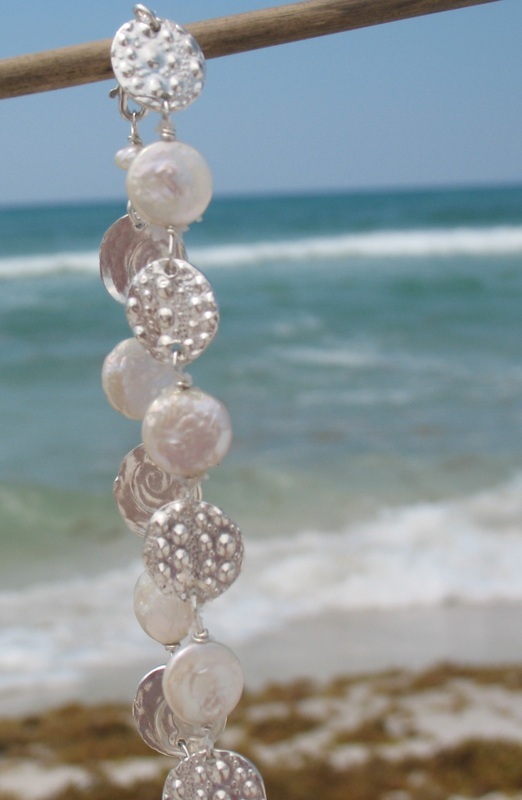 Fine silver imprints of sea urchin shell with a cultured freshwater coin pearl. Pendant is approximately 2.5 inches long. Available on 16" or 18" sterling silver chain.